CSPI circulated a petition for a name change, which received 14,000 signatures. But perhaps just as powerful was the fact that one 58-year-old runner collapsed with a fatal heart attack during the most recent Krispy Kreme Challenge in Raleigh—at which point Darryl Carr, senior director of corporate communications for Krispy Kreme, denied any official role in the Krispy Kreme Race. Anyway, gone from the clinic is the direct reference to Krispy Kreme, a corporation founded and based in North Carolina for nearly eighty years and which has just been sold. “The new name honors the generosity of the Park Scholars, who have committed to raise a total of $2 million for UNC Children’s,” announced UNC communications representative Jennifer James. 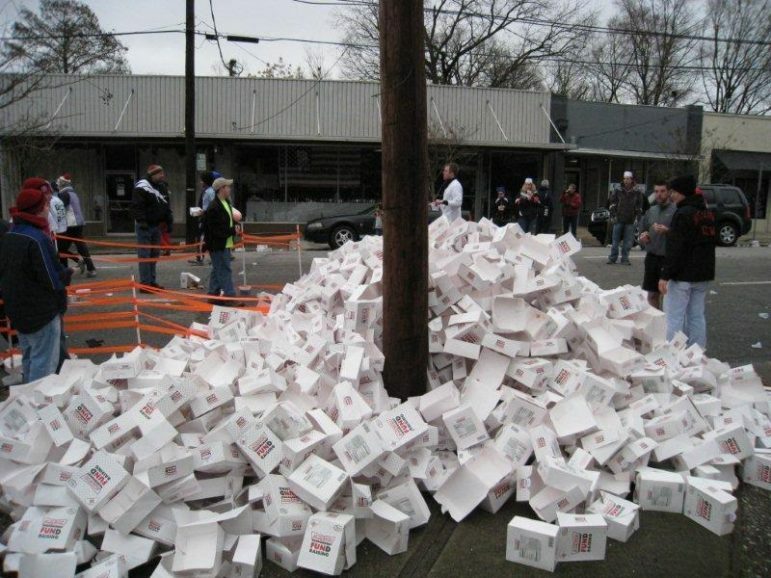 The Park Scholars is the group that actually organizes the annual Krispy Kreme race.